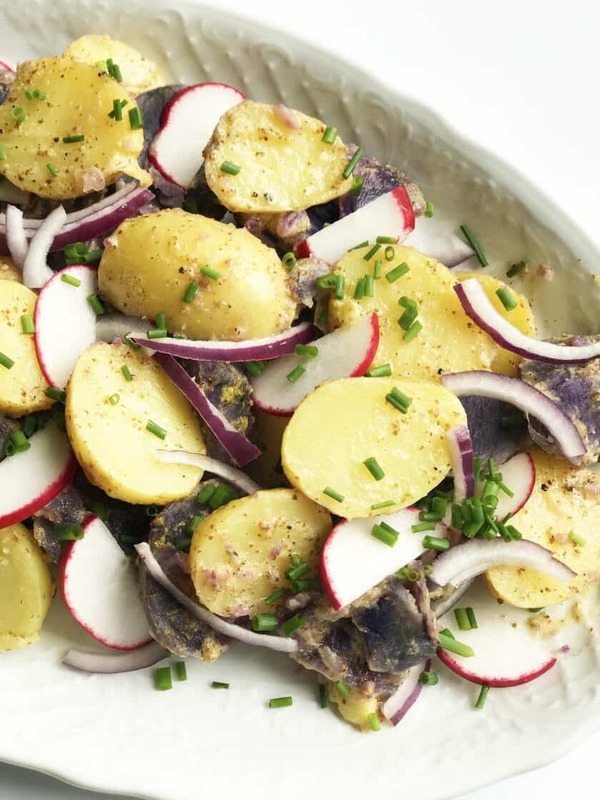 Summer cookouts aren’t complete without an amazing potato salad. 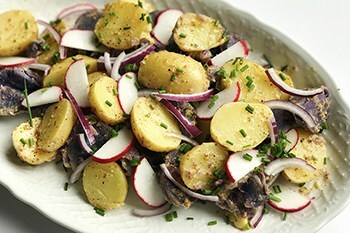 There will always be a spot on my summer table for grandma’s traditional potato salad. 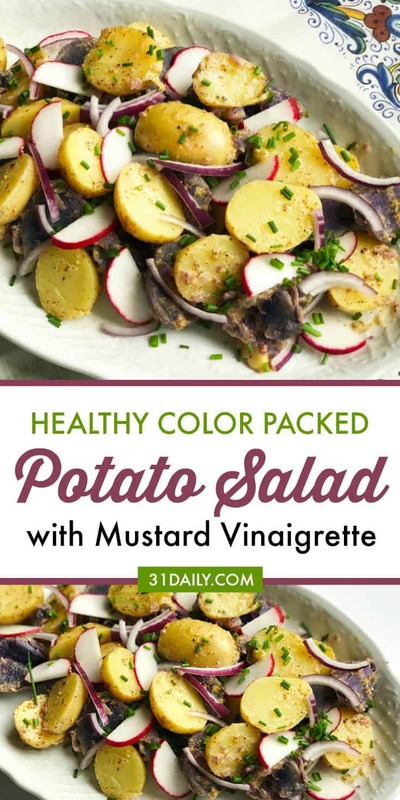 But this Color Packed Potato Salad with Mustard Vinaigrette is a delicious and healthy alternative… or addition. Gorgeous, tangy, delicious and healthy, this salad brings everything you love to the table. Perfect for any BBQ or summer cookout. And a great addition for any patriotic Fourth of July party as well. 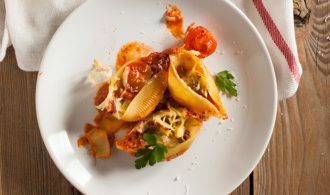 Easy to make and delicious served warm, cold or at room temperature. Gorgeous, tangy, delicious and healthy, this potato salad brings everything you love to the table. Whisk together dressing ingredients in a large bowl. In a medium saucepan, add halved potatoes and cover with water by about 3 inches. 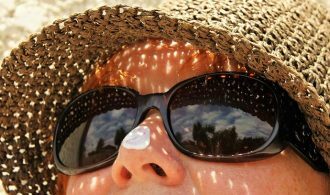 Bring to a boil; reduce heat to medium-low and cook about 20 minutes. Or until tender. Drain and add hot potatoes to the dressing. Toss gently to coat and add onion and chives.